After listening to Mr John Hattie at the Festival of Education last weekend in Auckland, there were a lot of things that I picked up on about my own practice. One of those things was this statistic : "65% of teachers do not do classroom discussions" and this stuck with me as I am guilty of not doing this very often at all. This was one of the things that Mr Hattie listed as making a measurable impact to student progress in the classroom. This week I thought that I would give this activity some conscious effort and decided to start with my Level 1 group. 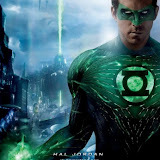 On Monday, I got them all round the front of the class and we looked at a selection of movie posters that I have collected together into a Google Plus album. What is the focus of attention? How has this element been made the focus of attention? How does your eye flow across the design? How has colour been used to good effect in the design? What style of lettering has been used and why? Here are the posters that we looked at in this session. To start with, they were a bit shy and I had to prod them individually to get them started. Then it swung the other way, where they were talking over the top of each other and not listening too hard to what each other was saying. It was an ok start though, at least they weren't refusing to talk at all and they had an opinion we could discuss and compare. Today ( Friday ), we gave it another try, and we sat round the front to discuss their own work as a whole group. They have done their design developments and are at the stage where they have to make decisions about what they are keeping and what they are not going to use for the final design. I thought it might be fun to do this as a class discussion, so they could listen to other people's opinions about their work. They did this really well today and gave some quality feedback to each other. They gave feedback on the layout, the choice of pictures, the font and position of the main tittle and anything else that they thought was relevant to bring up. Here are their design developments that we looked at today. I am feeling the benefit of these discussions already, even though we are only 2 in to the process. It is giving me chance to listen to the students verbalise what they have been learning and get to know them a little more. It is good to see them have the confidence to discuss each other's work and give feedback that is useful to the others in the class. I will definitely be doing more of this. MIT14 ~ Where are we up to ? This presentation describes briefly where the project is up to at the moment, 8 weeks in. It has links out to Google Plus Communities that the students post in, the class site that they work from and links to student work. It ends with a Year 11 student talking about how he produces his work in DVC this year. If you want to know more about the project, click the link on the last slide. One of the things that we need to do is some green screen action, so we decided to have a little trial go today. We had a try last year when we made the opening titles for our Doctor Who presentation for the Manaiakalani Film Festival. All we had to do last time was to drop one clip on top of the other and a nice handy dandy little menu would pop up with useful things you could do, like green screen. This was on iMovie 9 and since then, I have got a new mac book and am using iMovie 10, but I haven't tried to use green screen yet. I taped some green sugar paper to my board, cut out a print out of the Millennium Falcon and put it on a piece of rolled up green paper and we had a go. I was flying the Falcon while Dj manned the iPhone doing the recording. A nice shot of a suitable space background was dropped into iMovie and then we tried to drag the Falcon footage on top of it. 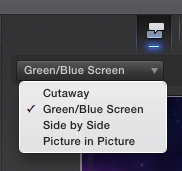 A very small list of options came up, but no juicy ones like side by side, or screen in screen, or green screen. Frustrating. After much muttering and grumbling, I found this really useful video on YouTube. Thank you Mr Mitch Davis - link to his YouTube channel here. It basically boils down to placing the background footage on the timeline, with the green screened footage above it. Once you have done that, then a new option appears on the adjust bar at the top. It is the one on the left. You can then choose this option and a drop down appears where you can choose from the more interesting options for editing, like green screen. Here is our trial today. It is not very long but I am very happy with the outcome. It is definitely something we can do, I have learned something today and we have had a chat about how ere are going to improve it for the real filming. I recorded my Level 1 students today, talking about what they thought about using the Google Plus Community within the group. So far we have been using it for practice activities and to upload development work to receive class feedback. They are just about to start using this feedback to write the analysis notes of their own design developments. It is good to hear from them that they are OK using the community and are not shy about sharing their work with each other. What is interesting to hear is that they find it easier to give feedback on other's work than on their own. "It is difficult for them to see their own mistakes"
What was good to hear from one of the students, was about his lack of understanding of what he was doing. He is one of the lower aSStle scores from last year in Year 10. He was nervous after the recording that I might be angry with him for saying that, but if that is how he is feeling then that is what I need to know! It is no good just saying what he thought I wanted to hear. I am so happy he was honest with me. What I need to do is structure how to use the feedback to create bullet points of analysis for their own work. I have started a document of sentence starters, on a Google Document, but I am thinking now that I will produce these on cards that the students can have in front of them as they are analysing their work. The Google doc method could still be used if I structured the starters / questions / layout of it so that the students filled this in with the feedback that was put on their work. After talking with the HOD English, structured sentence starters is the way to go with this. On a practical note, this was really easy to do. I used the audio recording facility on my iPhone. I then emailed the files to myself. Logging into SoundCloud was really easy, I just clicked the log in with Google button to start the account. What is slightly disconcerting is, because I logged in with my Google account, it took the icon that I have on Google, so my weemee is HUGE on the screen for each recording when it is embedded. I have changed the embed option coming from SoundCloud on the first 3 of them and left the last one as the bigger embed to see the difference. I much prefer the smaller embedded player. This was a very useful exercise with the students today and it has certainly got me thinking a LOT. I had to give some of them a go to see if I could use them within my DVC lessons. Check out this Google video on how to install the add ons. The first one I looked at was Twitter Curator. This allows you to type in a search term or hash tag and it will search twitter for tweets about that for you. You can then browse them in the side bar and choose the ones you want to insert on your document. I like this choosing feature, as it means you don't have a document full of things you really don't want or are irrelevant. I am looking forward to using this next month at the Gafe Summit in Auckland. The second one that I looked at today was TextHelp Study Skills. This allows you to highlight text that you are reading through in different colours. If you choose your colours based on categories that you want to be grouped together, then the really good bit is that it will then group those coloured sections together in another document. This will save copying and pasting or retyping. I am going to try this out with my Level 1 DVC class quite soon as they need to analyse collected texts about their chosen architect, so this will be a useful tool. What I don't like about it is that it won't continue the same collection if you stop and go back to it later. Hmm...something for them to work on. Link to the documents here. I got my new Chromebook today. It is an Acer C720, the new model that the students are getting this year. I am loving it already. Easy, fast, light weight. 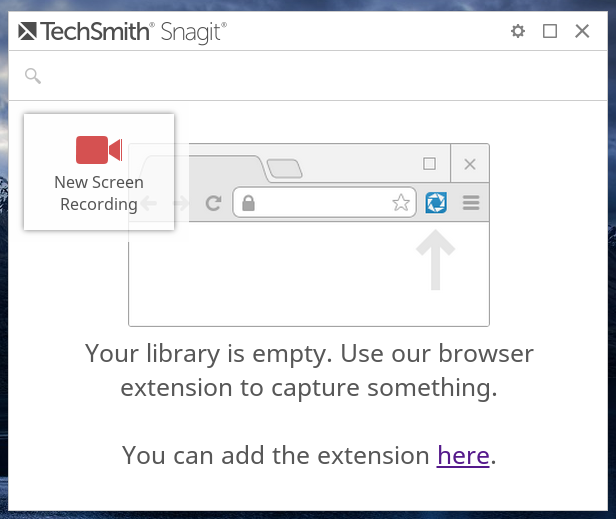 One of the first things I had to try out was screen casting using the Snagit app from the Chrome web store. I had seen it mentioned on Google Plus, so had to give it a try. 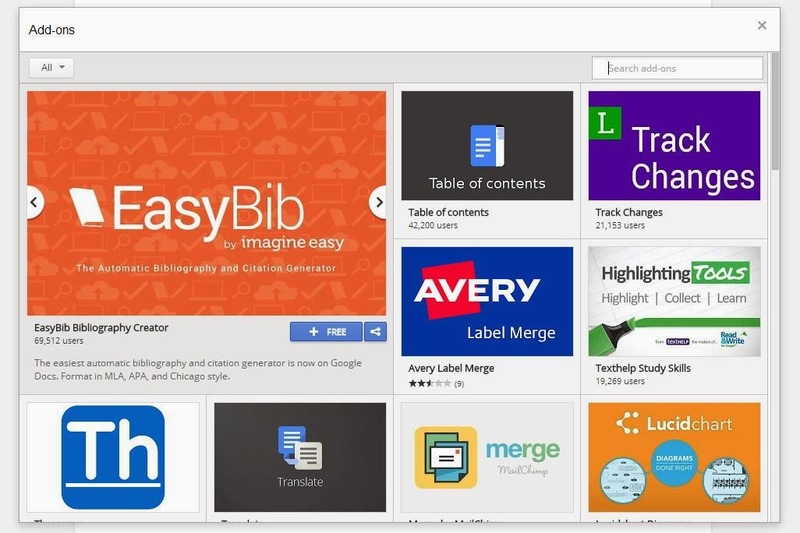 In the Chrome web store, there are two entries for Snagit, an app and and extension. You need to get both of them. After you have got both of these, open the app and click on the settings wheel. You need to tick the "enable experimental features" option. Once you have done this, the input audio levels bar will be seen and if you make a noise, you will see this pick up the sound. 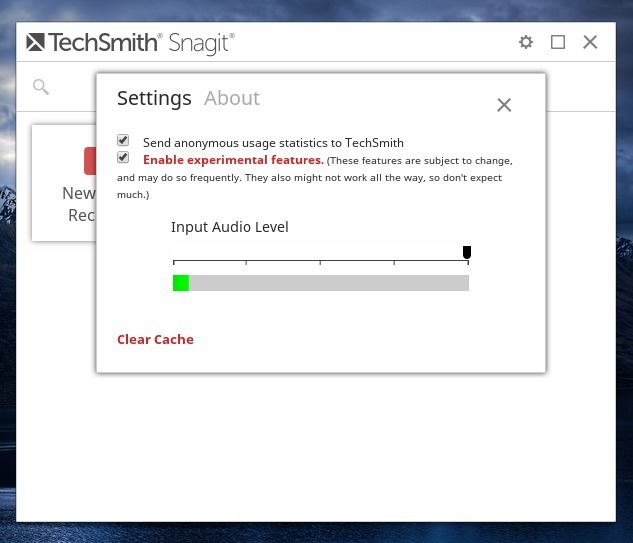 Now when you open the Snagit app, you will see this box. This will hold all of your screen captures and it has the button to start a new screen cast. The first time that you do this, it will display a warning box that you need to enable a setting in chrome. It has a link to this so click on through to it. It will take you straight to the settings that need the enable option clicking. Restart chrome and you are ready to go. When you click on new screen recording now, it asks to share you screen, so choose yes. You can then do everything on your screen that you want to record. This box is down at the bottom left of your screen, and when you are doe, you click on stop. When you have finished, it will display this box where you can review your recording and see if it is good enough. If you don't like it, just hit the cross to close it and you can start again. You can also choose a file name here, at the top where the date and time is as a placeholder name. 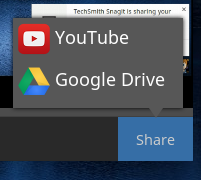 At the bottom, there is a share option and you get to choose from your Google drive or YouTube account. Here is a quick one that I made to try it out. This is hosted on YouTube. 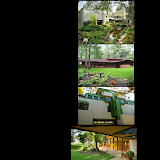 Here is a link to a site page where I embedded the video that I had saved into my Google Drive. On the whole, I found this easy to do and the quality of the output was really good. I have not tried this on any other device yet, so I don't know if the quality is different then, but I am pleased with the result today. 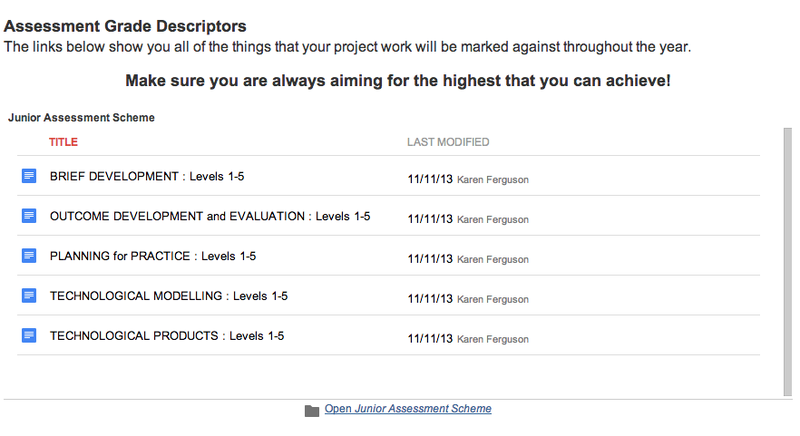 On my project pages for the junior students on my class Google site, I needed some way to link the assessment scheme for Technology to the tasks that the students were doing within the projects. On the layout of this page, I had set it up with a left sidebar so that the assessment could be put in there to line up with the tasks. That left sidebar has sat there blank for a few weeks while I come up with a way to do tis that is not just a load of words that will confuse the students away from the project steps. Today, I decided to make a series of buttons using Adobe illustrator, that will link the students to the assessment schedules that match with the task they have been asked to do. I has already embedded the folder with the assessment schedules in it on the front page of the juniors section, so these documents were already open and available to the students, but they were not really going to that page unless told to, so I wanted this information more "in their face". Link to this junior page here. 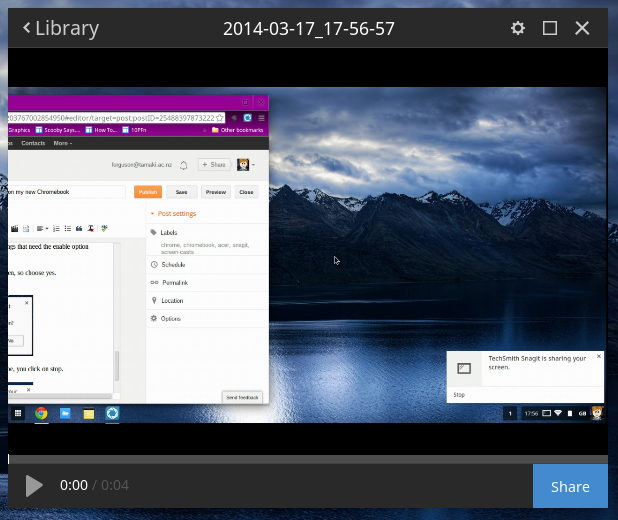 A How To on how to embed a folder from your Google drive onto your site here. I made the buttons nice bright colours so the students could see them easily on the project page, but they are not the main focus. I left the design as simple initials of the assessments, using different colours for the different schedules so they could easily see the differences in assessment for each section. These buttons are hyperlinked to the document outlining the assessment schedule for each one, so if a student wants to see what they are being assessed on for each task, it is there next to the instructions to be clicked on. They can see what they have to do to reach each curriculum level and what level they are working at. Link to the Pop Up Book project page here, to see the plan in place.